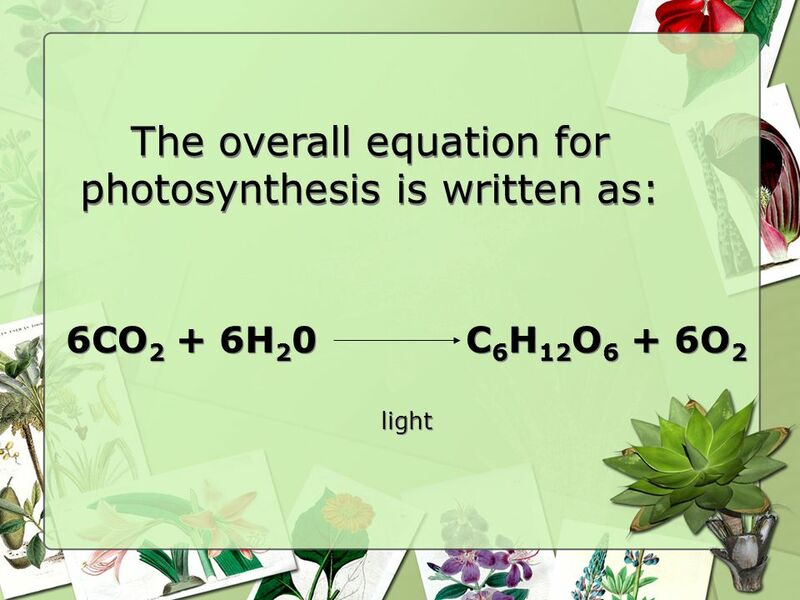 Photosynthesis 1. f. Students know usable energy is captured from sunlight by chloroplasts and is stored through the synthesis of sugar from carbon dioxide. 1 Photosynthesis 1. f. Students know usable energy is captured from sunlight by chloroplasts and is stored through the synthesis of sugar from carbon dioxide. 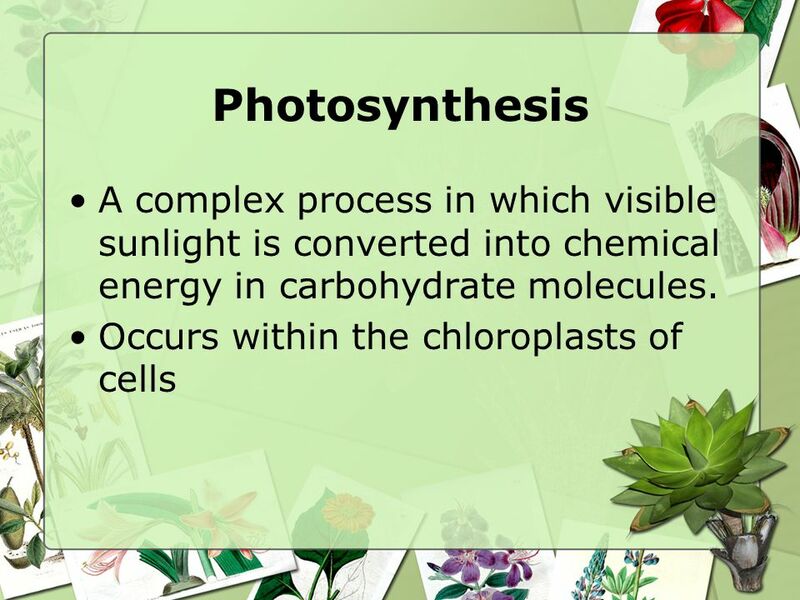 Photosynthesis is a complex process in which visible sunlight is converted into chemical energy in carbohydrate molecules. 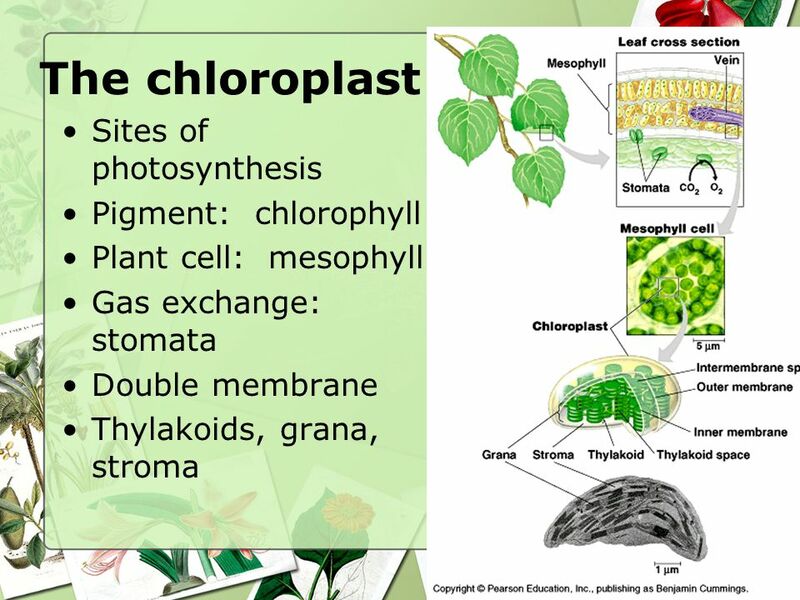 This process occurs within chloroplasts and specifically within the thylakoid membrane (light-dependent reaction) and the stroma (light-independent reaction). During the light-dependent reaction, water is oxidized and light energy is converted into chemical bond energy generating ATP, NADPH + H+, and oxygen gas.† During the light-independent reaction (Calvin cycle), carbon dioxide, ATP, and NADPH + H+ react, forming phosphoglyceraldehyde, which is then converted into sugars. By using a microscope with appropriate magnification, students can see the chloroplasts in plant cells (e.g., lettuce, onion) and photosynthetic protists (e.g., euglena). Students can prepare slides of these cells themselves, an activity that provides a good opportunity to see the necessity for well-made thin sections of specimens and for correct staining procedures. Commercially prepared slides are also available. By observing prepared cross sections of a leaf under a microscope, students can see how a leaf is organized structurally and think about the access of cells to light and carbon dioxide during photosynthesis. The production of oxygen from photosynthesis can be demonstrated and measured quantitatively with a volumeter, which can collect oxygen gas from the illuminated leaves of an aquatic plant, such as elodea. By varying the distance between the light source and the plant, teachers can demonstrate intensities of the effects of various illumination. To eliminate heat as a factor, the teacher can place a heat sink, such as a flat-sided bottle of water, be-tween the plant and light source to absorb or dissipate unwanted heat. 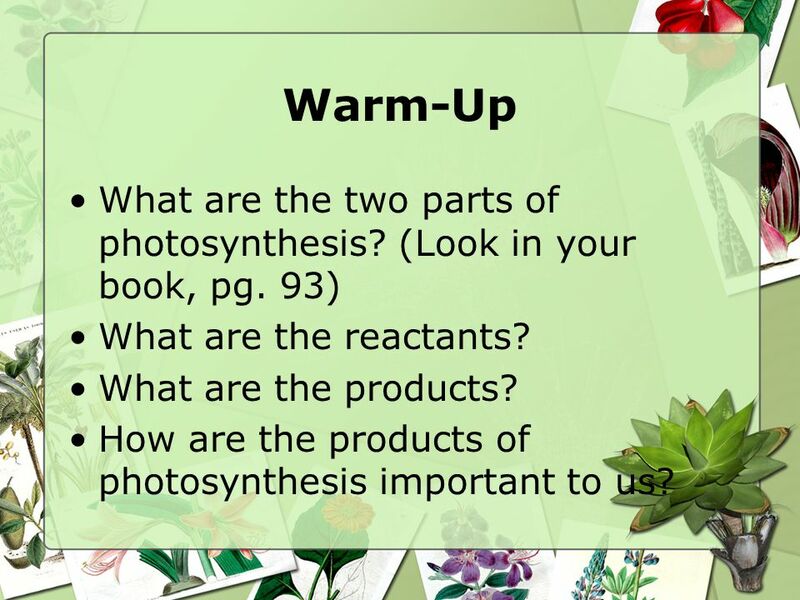 4 Warm-Up What are the two parts of photosynthesis? (Look in your book, pg. 93) What are the reactants? What are the products? 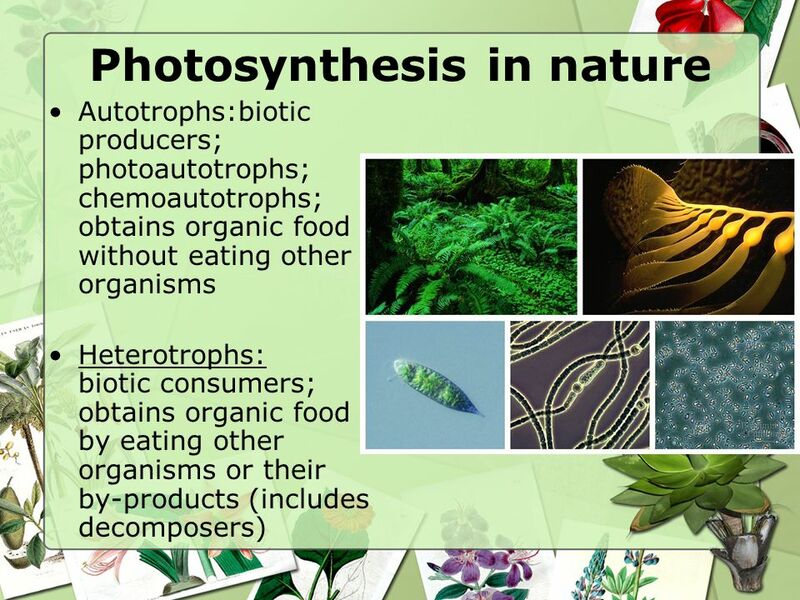 How are the products of photosynthesis important to us? 1. f. Students know usable energy is captured from sunlight by chloroplasts and is stored through the synthesis of sugar from carbon dioxide. 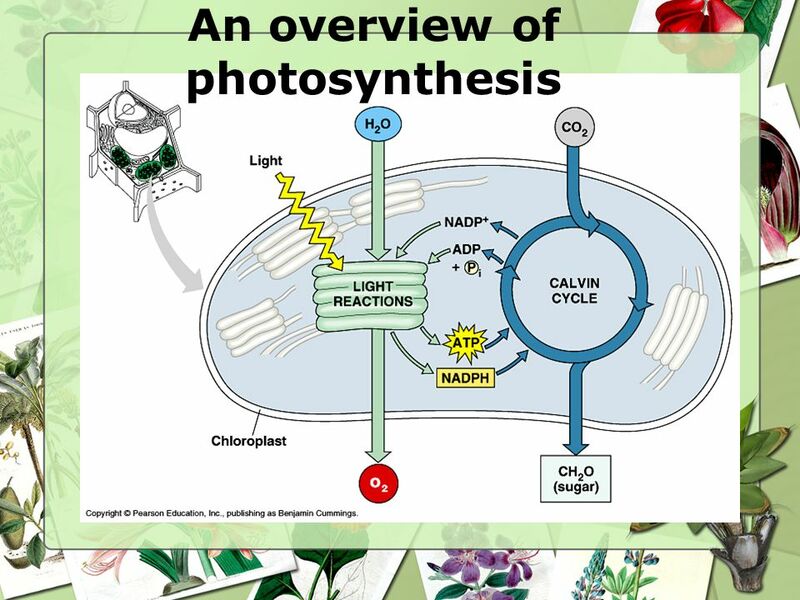 Photosynthesis is a complex process in which visible sunlight is converted into chemical energy in carbohydrate molecules. 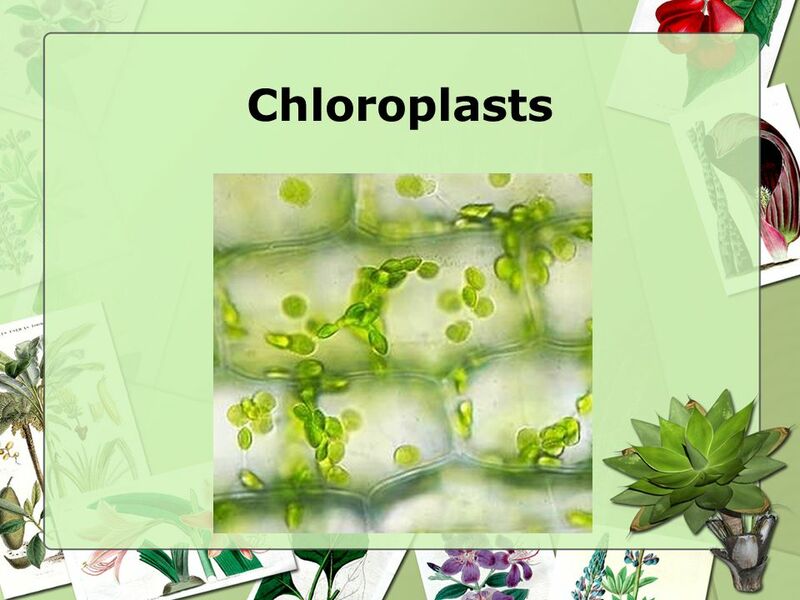 This process occurs within chloroplasts and specifically within the thylakoid membrane (light-dependent reaction) and the stroma (light-independent reaction). During the light-dependent reaction, water is oxidized and light energy is converted into chemical bond energy generating ATP, NADPH + H+, and oxygen gas.† During the light-independent reaction (Calvin cycle), carbon dioxide, ATP, and NADPH + H+ react, forming phosphoglyceraldehyde, which is then converted into sugars. By using a microscope with appropriate magnification, students can see the chloroplasts in plant cells (e.g., lettuce, onion) and photosynthetic protists (e.g., euglena). Students can prepare slides of these cells themselves, an activity that provides a good opportunity to see the necessity for well-made thin sections of specimens and for correct staining procedures. Commercially prepared slides are also available. By observing prepared cross sections of a leaf under a microscope, students can see how a leaf is organized structurally and think about the access of cells to light and carbon dioxide during photosynthesis. The production of oxygen from photosynthesis can be demonstrated and measured quantitatively with a volumeter, which can collect oxygen gas from the illuminated leaves of an aquatic plant, such as elodea. By varying the distance between the light source and the plant, teachers can demonstrate intensities of the effects of various illumination. To eliminate heat as a factor, the teacher can place a heat sink, such as a flat-sided bottle of water, be-tween the plant and light source to absorb or dissipate unwanted heat. 1. i. * Students know how chemiosmotic gradients in the mitochondria and chloroplast store energy for ATP production. Enzymes called ATP synthase, located within the thylakoid membranes in chloroplasts and cristae membranes in mitochondria, synthesize most ATP within cells. The thylakoid and cristae membranes are impermeable to protons except at pores that are coupled with the ATP synthase. The potential energy of the proton concentration gradient drives ATP synthesis as the protons move through the ATP synthase pores. The proton gradient is established by energy furnished by a flow of electrons passing through the electron transport system located within these membranes. 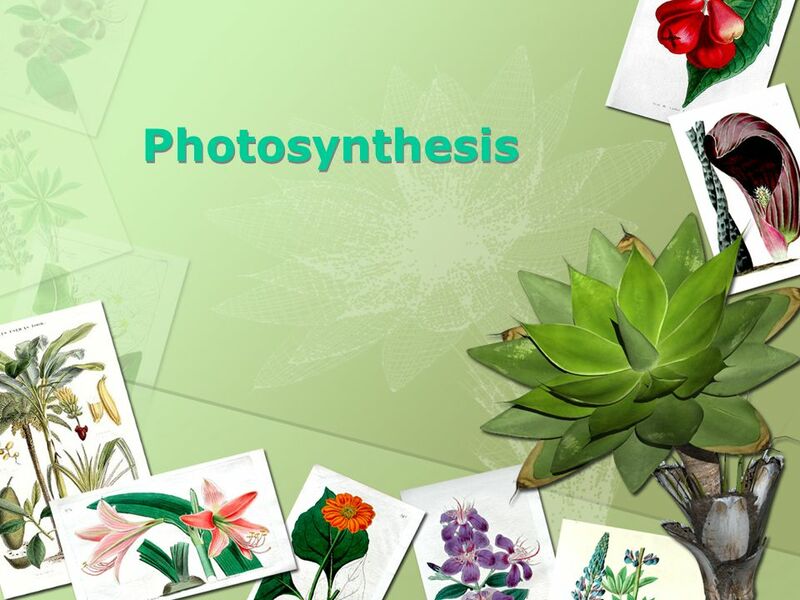 Download ppt "Photosynthesis 1. f. Students know usable energy is captured from sunlight by chloroplasts and is stored through the synthesis of sugar from carbon dioxide." Cellular Energy. I. Energy for Living Things A. Organisms need energy to live B. Energy is the ability to do work. What are the things that you cannot live without? Photosynthesis Biology Mrs. Naples. Energy All living things need energy to thrive and survive We could not survive without energy Why do we need energy? Chapter 6 & 7 Photosynthesis and Respiration. I. ENERGY: The ability to do work  A. Why do cells need energy? 1) Active Transport 2) Cell division, growth. The student is expected to: 4B investigate and explain cellular processes, including homeostasis, energy conversions, transport of molecules, and synthesis. 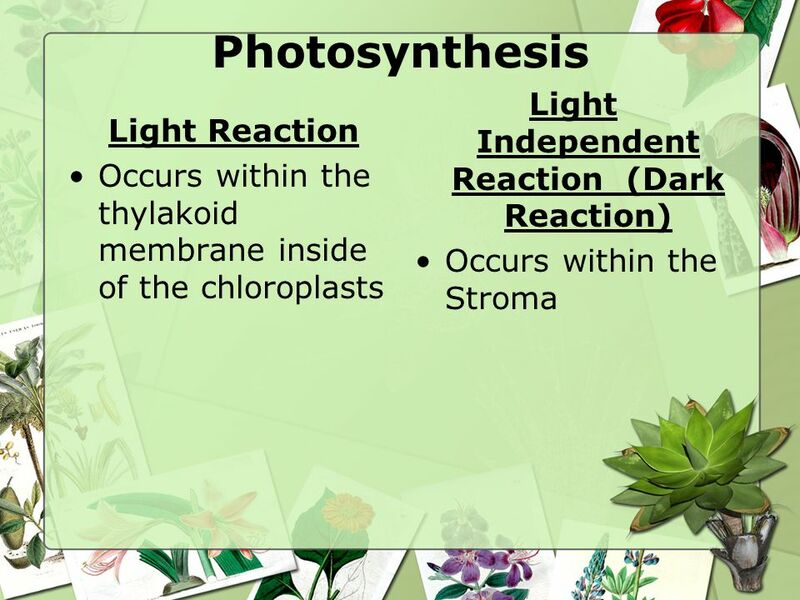 KEY CONCEPT The overall process of photosynthesis produces sugars (glucose) that store chemical energy.